Nickell Robey was flagged for pass interference late in the game in what he called "the worst call" he's ever been a part of. After falling behind early thanks to three consecutive turnovers, the Buffalo Bills battled back against the Jacksonville Jaguars to mount a wild comeback. Unfortunately, Blake Bortles' late-game heroics put an end to the Bills' comeback attempt as the Jaguars escaped 34-31 in London. A key play in the game came late in the fourth prior to Bortles' game-winning touchdown pass to Allen Hurns. On a pivotal third-and-15, Bills cornerback Nickell Robey was called for pass interference, giving the Jaguars a first down. Two plays later, Bortles tossed the game-winner to Hurns and the rest is history. Needless to say, Robey wasn't happy with the call and proceeded to rip it after the game. Robey continued to say he's not alone in thinking it was a bad call. His teammates also don't believe it was warranted. It was a gut-wrenching loss for the Bills who have now fallen to 3-4 and are sitting in the basement of the AFC East. Fortunately, they're heading into their bye week and hope to get healthy. 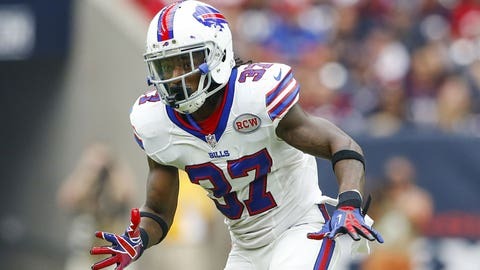 They've struggled to get their starting offense on the field together, with LeSean McCoy, Sammy Watkins, Percy Harvin, and Tyrod Taylor all missing time. Rex Ryan is more than ready for a week off.